Ancient Greek gods, heroes, and creatures exist not only in stories and in works of art, but in the night sky in the form of constellations of stars. Come hear the stories of Hercules, Medusa, and Pegasus in the book Once Upon a Starry Night and meet them in the galleries as they were depicted by artists in antiquity. After the story and tour in the Greek and Roman galleries, children and their accompanying adults will explore constellations in the "night sky" with April Whitt from Fernbank Science Center in Star Lab, a portable planetarium set up in the Carlos Museum. For ages 3 to 5 years and accompanying adults. These programs are free but a reservation is required by calling 404.727.0519. 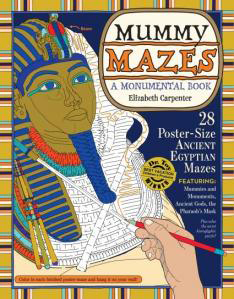 Elizabeth Carpenter, the author and artist behind Mummy Mazes, visits the Carlos Museum to demonstrate her method of creating giant mazes from works of Egyptian art. These poster size mazes feature mummies, monuments, and intricate murals, ancient gods and the Pharaoh's mask, scarabs, an Egyptian night sky, and the Giant Sphinx who guards the pyramid complex at Giza. The meticulously drawn mazes lead kids through hieroglyphic inscriptions, cracks in the limestone, detailed wall paintings, and more. Books will be available for sale and signing by the author. The Carlos welcomes three outstanding authors of young adult literature for a conversation with readers. British author Adele Geras, author of Troy and Ithaka will (virtually) join Atlanta's Vicky Alvear Shecter, author of Cleopatra's Moon, and Nashville's Tracy Barrett, author of King of Ithaka and Dark of the Moon, for a conversation about their fascination with the stories and people of the ancient world and about writing for a young adult audience. This event is free and open to the public. No reservation is required. January 20th : Movie premier: Coriolanus, rated R.
February 18th: Homer would be proud of our modern bards! Come to the Southern Order of Story Tellers. Information HERE. In addition to mummifying humans, the ancient Egyptians also mummified animals including birds, crocodiles, cats, and fish. In this two-part workshop, children will visit the galleries to examine animal and human mummies. Then they will "mummify" a fish. They will re-create natron, the ancient salt used by the Egyptians to dehydrate the body, and seal their fish in the mixture. In the second session on October 2nd, they will anoint the mummified body with scented oils and practice the art of wrapping the mummy with strips of linen. Ages 8-12. $12 for Museum members; $15 for non-members. Pre-registration is required by calling 404.727.0519. Lecture: The Preface to Tacitus' Agricola: Monday, 9/26, 7:30 – 9pmLocation: Michael C. Carlos Museum, Reception HallA. J. Woodman, Basil L. Gildersleeve Professor of Classics at the University of Virginia, will speak on The Preface to Tacitus’ Agricola in the inaugural Herbert W. Benario Lecture in Roman Studies. Evening for Educators: Friday, 9/30, 5 – 6pm Location: Michael C. Carlos Museum, Reception HallK-12 teachers, curriculum coordinators, and principals are invited to a special Evening for Educators in conjunction with the exhibition Life and Death in the Pyramid Age: The Emory Old Kingdom Mummy. At 5:30 pm, curator Peter Lacovara will introduce educators to the major themes and works in the exhibition. Wine and hors d’oeuvres will be served, and educators will receive a 10% discount in the Museum Book Shop. 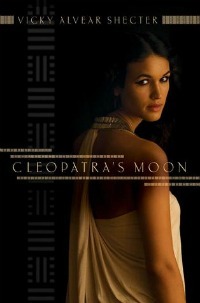 Did you miss Vicky Alvear Shecter's Book Release of Cleopatra's Moon at Little Shop of Stories on August 4th? Then don't miss my friend and fellow docent at the Decatur Book Festival, September 4 @ 3:00 at the Decatur library. I love reading her Friday Funnies on her blog. You can also visit her website for more information. Rumor has it that she will make an appearance at our Egyptomania class this semester. Read 5 Books on the Ancient World and receive a free pass to the Carlos Museum! See the Carlos Museum's Summer Reading list. Classical Prep had the privilege of attending Camp Half Blood at Little Shop of Stories this summer to teach campers a little Latin and Greek.